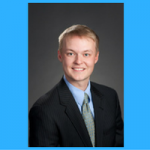 Nate Osborn specializes in real estate law, but he also frequently helps entrepreneurs and small business owners with various legal issues including business formation, contracts, and disputes. When Nate isn’t practicing law, he’s writing books specifically tailored to the interests of boys like his own, ages 5-12. Sure, being an attorney can be creative sometimes, but in writing books, Nate gets to experience the creativity of writing and drawing. That is something he can’t find as easily while practicing law. For many years, Nate Osborn wanted to write a book. In fact, every January 1st he would set a goal to write a book “this year.” But self-imposed excuse after self-imposed excuse kept him from following through with achieving it. One day, a coworker happened to read a draft of one of Nate’s books he’d left in the printer tray at the office, and she loved it. That motivated Nate to move forward and finally publish the book he’d been promising himself he’d write one day. When Nate met Dylan, the boy who would eventually become his stepson, he says he was a single man who “might not have been the smartest, most mature person in the room.” That all changed for the better after meeting Dylan — and Dylan’s mom. Through his experiences getting to know Dylan and his Mom, Nate learned about selflessness and about how your actions really do impact others. This experience is the best game winning touchdown of his life. You can follow Nate on Twitter @NateGOsborn. You can also check out the website for the law firm Nate is a part of. 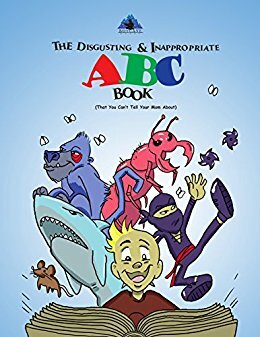 Grab your copy of Nate’s delightful Kindle book, The Disgusting & Inappropriate ABC Book: That You Can’t Tell Your Mom About, by clicking the image or this link.